Happy New Year everyone!! Can you believe that 2017 is over and it's already 2018? To me, that doesn't even sound like a "real" year...it sounds like some crazy number people would throw out when I was in elementary school. "Aliens will live on earth in 2018! ", "Everyone will have a flying car in 2018!". Alas, it's real and it's here. It's also my golden birthday (which I'm going to basically turn in to a golden year), so I already know that 2018 is going to be the best yet. Before I get too far ahead of myself, December was such a fun and busy month! I'm excited to recap it all today with the first What's New With You linkup of the new year. This year I'm going to be better about visiting new blogs and postings and being more interactive on here- and that all starts today! 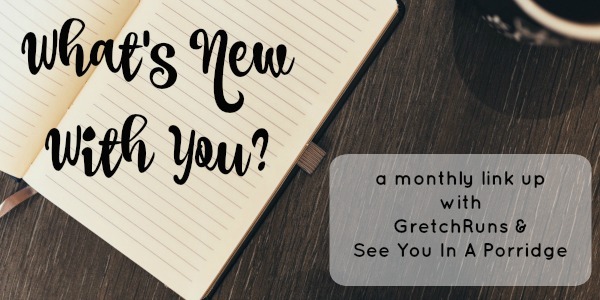 Make sure you join the monthly linkup with Kristen and me by linking up below- Now let's see what's new with me! This month was all about traveling. At the end of November/beginning of December, Dan had to go to Hawaii for work and I tagged along. We were home for about a week before starting a road trip down to Florida, stopping in Charlotte North Carolina on the way down and Knoxville Tennessee on the way home. 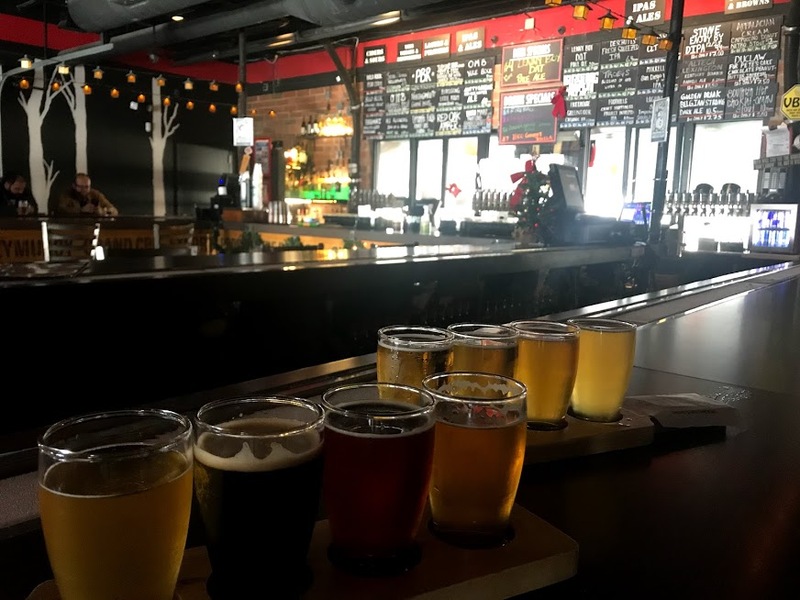 In terms of highlights, I'm going to be sharing my favorite breweries in each city that we visited! 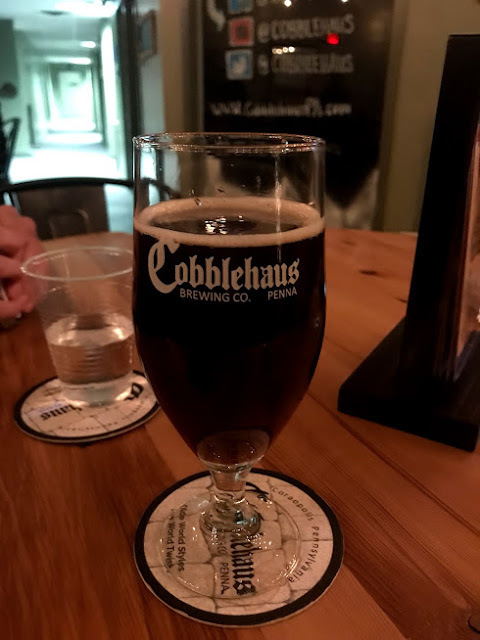 Pittsburgh - Cobblehaus Brewery. This has been on my list of places to try for a year now! I heard about this brewery in a local microbrew magazine, and I finally got to try it out. I went with some friends for Thursday night trivia with BIG TOM! It was lots of fun (we got second!) and the beer was pretty good. I only tried out one, so next time I want to get a flight a try some different varieties. Charlotte - VBGB. As I mentioned above, Dan and Idrove down to Florida to visit my grandparents for the holidays. We stopped in North Carolina, and had to make a stop at a beer garden! Since we were there less than 24 hours, I thought a beer garden would be better than a brewery so that I could try out multiple local beers in one go. Not only was the entire place awesome, but the beer was great too! I had ones from Triple C, Unknown Brewery, Birdsong, and NoDa. Leesburg - Great Chicago Fire Brewery. This is a tiny little tap room right off the main drag in Leesburg. Unfortunately the beer wasn't that great, but the food was excellent. They serve Chicago-style food, including hot dogs and pizza. I got a cheese pizza and it was SO good. 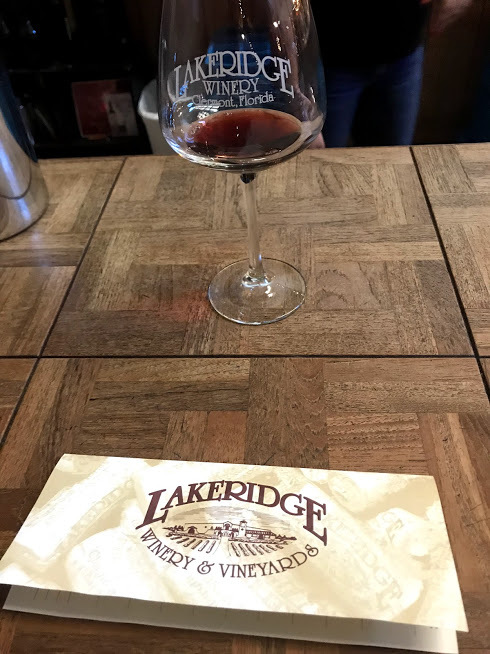 Clermont - Lakeridge Winery. This winery and vineyards is located close to my grandparents' house, so we all went down for a tour and tasting. There are lots of events going on throughout the year, but we went at a slower time and got to take our time tasting and walking around the store. I really liked the wines, and we ended up coming home with a case! Knoxville - Balter Beer Works. The final stop on our roadtrip was to Tennessee to visit Dan's family. 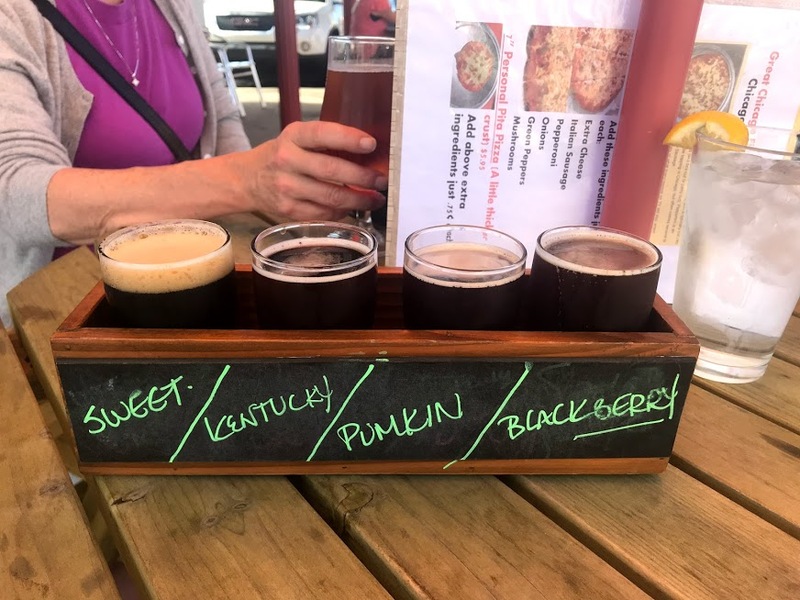 We stopped in Knoxville one day to try out a new brewery, and loved it. I got a flight (surprise, surprise) and all of the beers were great! I also really liked their food. 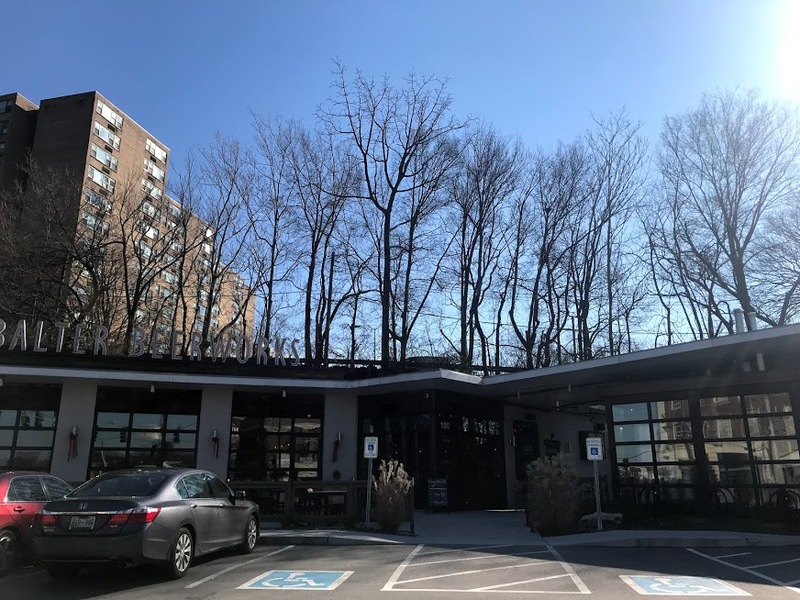 The brewery also has an outdoor area and beer garden that's dog friendly, so I want to go when it's nicer out and bring Selma! Honolulu - Kona Brewing. I was really excited to go to Kona, and it did not disappoint at all! The food was great, and the beer flight that I had was amazing. I liked every single beer that I tried (which never happens!). I want to go back to Hawaii JUST to go back to this brewery! Waikiki - Maui Brewing. This brewery was actually right by our hotel, so we ended up coming here with a group for a few late nights. There are a few locations in Maui as well, but I believe that this is the only one that serves food! Either way, the beer is great and they have great happy hour (and late happy hour) specials! Lahaina - Kohola Brewery. Dan and I went to this brewery with absolutely no expectations. We were strolling around Lahaina on our last full day and wanted to get something to drink, so we just happened into this unassuming brewery. 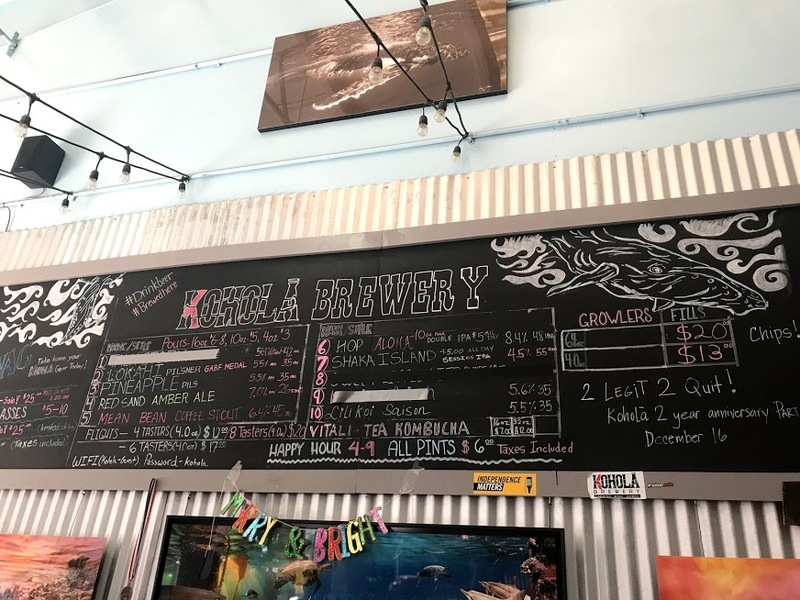 We ended up having the best time there, chatting with the bartenders about their crazy whale watching adventures and hearing about how they came up with different beer flavors (one of the more interesting ones was a lilikoi saison). There were lots of games to play, so it's a fun place to hang out for a while! I utilized your link (thank you) to learn about Golden Birthday. Sad that I had mine nearly 30 years ago and didn't even know it. Bummer. LOL! May you have a wonderful Golden Year! Aw man! Looks like you have to have a do-over! Yay for your golden birthday! Mine would have been a long time ago, before they were widely celebrated so my sister and I were already talking about how we could still celebrate them for members in our family, lol! I'll have to check out the Leesburg and Clermont locations, especially since the food was best at the Chicago one and I don't drink beer but everybody else does around me. You'll definitely like it then! Are you from that area? It's so cute..can't wait to go and visit again! I hit my golden birthday before I knew what a golden birthday was! I had to laugh at your other thoughts on 2018. I definitely thought the world would be much different by now, and that may have included aliens. So glad to find someone else who loves beer as much as I do! I need to try some of these breweries obviously! Yay for a golden birthday! Mine is in about two and a half years. :) Sounds like your travels were a lot of fun too. That's awesome. That's great to hear, sounds like a lot of people missed theirs! LOL, if you tried to explain a smartphone to someone from the 16th century, I think that's about as good as aliens taking over the planet! Ha! Your December sounds pretty amazing - especially your Hawaii trip. Hope your golden year is just as good as December! You're right..maybe aliens and robots have taken over the world?! Poo -- my golden birthday was when I was 4 and I don't remember it at all. But I do remember seeing a guy at my last marathon who was running his golden marathon -- I think his shirt said he was 58 years old and it was marathon #58. That was the first time I'd heard of a 'golden-anything'. Ohh that's a great idea! Ahh I love this! I'm a sucker for any and all breweries so whenever I get a chance to get to any of these cities this will be good to know :) Charlotte and anywhere in Hawaii are high on my list of places to visit! Looks like so many fun stops! I did a lot of traveling 2 years ago and it was one of my favorite years of marriage so far. It's so fun to explore new places with your partner! I've never heard of the golden birthday thing! Oh man, last year was my golden birthday and I didn't even realize it! All of the breweries you went to sound awesome!!! I always see Kona on the beer lists at local bars here and have tried a few and it is always good. We drive through (and sometimes stay) in Knoxville when we go to Gatlinburg, so I will have to check out that brewery next time! Happy 2018!! I had never heard of a golden birthday... and according to your link mine was when I was 13. No fair! Love the idea of using this post to recap breweries. They all look great as well! I love a good brewery. Happy New Year! I hope 2018 is everything you wish for. seriously where are our aliens and flying cars? haha. i totally get that. yay for golden birthdays/years. mine was when i was 12- lame. but last year (erm.. last last year) i turned 29 in a february that had 29 days, which only happens every 4 years (as i'm sure you know) so i thought that was pretty cool. i love that you just tagged along to hawaii lol. that's awesome! you guys sure were busy, and looks like you went to a lot of fun breweries. they aren't really my jam but KC loves them so i'm going to try and go to at least 1 this year, we shall see! I was just saying how I remember ringing in the new millenium and here were are, almost 20 years later *gasp* (I personally thought we had invented "lighting speed travel" by now, so I can pop over to my parents for dinner ;)). I had no idea what a golden birthday was so thanks for educating me! Unfortunately I missed mine a while back... 15 years ago to be precise. Ah well. I hope your golden year is awesome, and maybe has flying cars by the end of it? I can't drink beer but breweries usually have pretty good food so I'm happy to tag along for that. I've done a bit of drinks facility touring in the last year and I always enjoy it! I totally relate to feeling like 2018 is some kind of made up future year that we couldn't possibly be living in! Hawaii sounds like an amazing kind of work trip to tag along on! I'd love to go back someday. 2018 is just a weird looking year to even write/type. I'm going to live like we are still in the 90s.